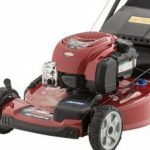 If you are concerned with preventing the contamination of the environment, then you should consider using a reel lawn mower instead of a gasoline model. Consider this: A gas lawn mower emits 10 to 12 times as much hydrocarbon as a typical automobile. Today’s reel lawn mowers are much lighter and easier to push than your dad’s reel mower. 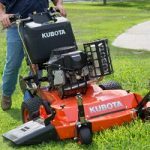 Of course, it is more than understandable that you might want to avoid using a push or reel mower because they are heavy, awkward contraptions. You’re required to offer a whole lot of effort to cutting the grass with one. 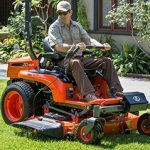 It is also understandable that you may not be aware that the reel mowers have gone through an evolution since your dad used one. Now these machines can offer much more effective results and you put in only a fraction of effort. In fact, they can provide you with a way to perform light exercise and the contraption is quiet and pollution-free. 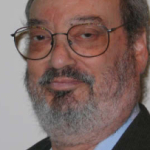 A better cut. While most rotary mowers tear the grass, leaving the tips shredded and soon to be brown, reel mowers shear the grass. The lawn looks greener and lawn care professionals prefer shearing to shredding. They’re quiet. You can cut the lawn anytime from morning through night and never disturb the neighbors or wildlife. Quiet can be calming, especially since you can actually hear the birds chirping as you mow. They don’t pollute. Not only will the mower help keep the environment cleaner, it also saves money in fuel. They’re easier to operate than you remember. They’re lighter, much easier to push and more effective than your dad’s reel mower. And because they are lighter, it is easier to transition from the front yard to the backyard. You can easily lift it to get it on to a pickup so you can take it in to the dealer for regular maintenance. Little maintenance required. Only the occasional drop of oil and sharpening of the blade is necessary to keep the mower in tip-top shape. That’s so easy, you could do it yourself. In fact, there are some models that feature hardened steel blades that don’t need to be sharpened. These blades will last for as long as 10 years before they need to be replaced. They’re cheap. You can buy one for $100 up to $350. 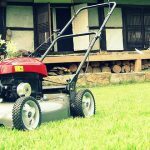 In fact, the cost of a reel lawn mower is less than half the cost of a low-end gasoline mower.